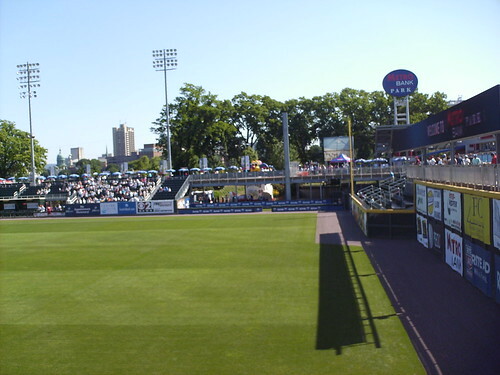 The view from behind home plate at FNB Field. 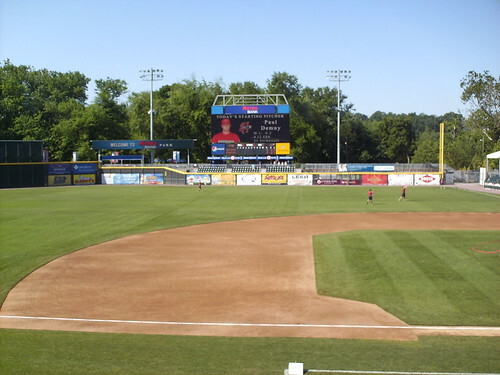 The view from down the third base line, looking toward the scoreboard. The view from down the first base line, looking toward the main outfield entrance. 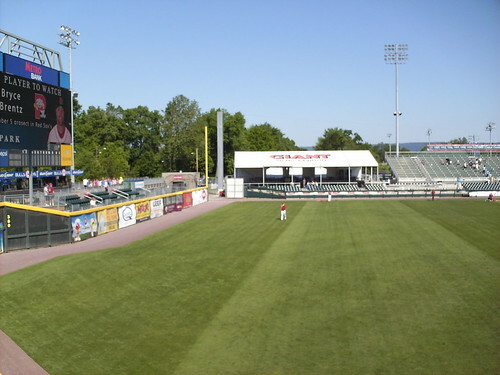 The grandstand at FNB Field, as seen from center field. 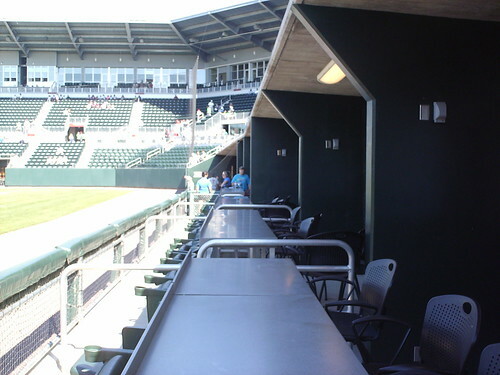 An outdoor press box counter sits on the concourse behind home plate. 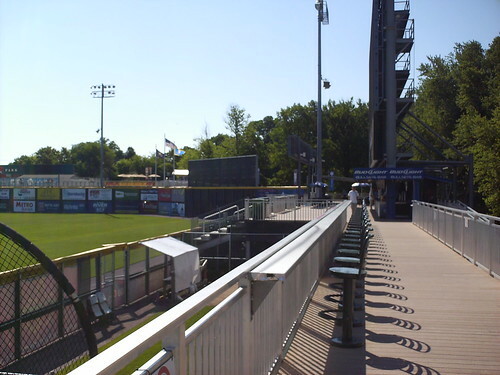 Dugout suites sit along the third base line, providing fans with the same close up view of the field that the players have. 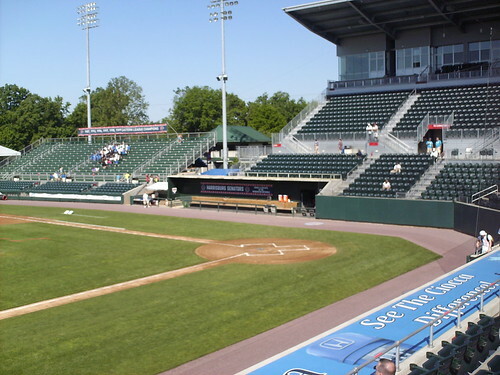 The dugouts sit at field level, near the expansive foul territory. 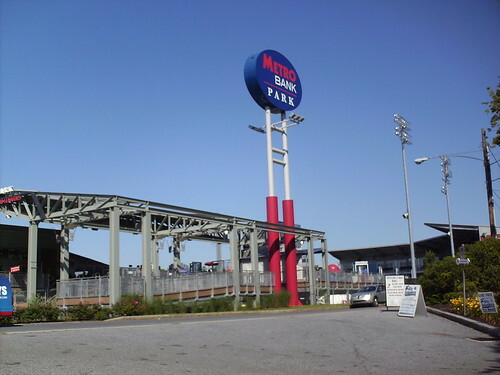 The outfield at FNB Field. 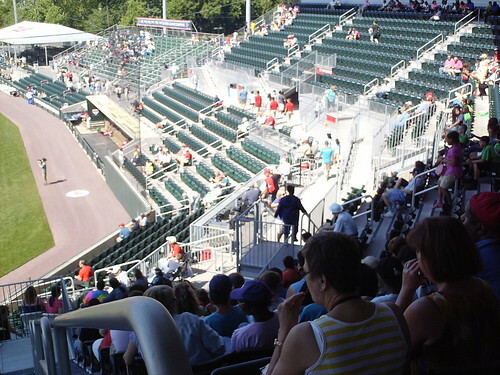 Bleachers sit along the first base line, next to a covered picnic deck. Three rows of seating under the scoreboard jut out into the field, creating a corner in right center. 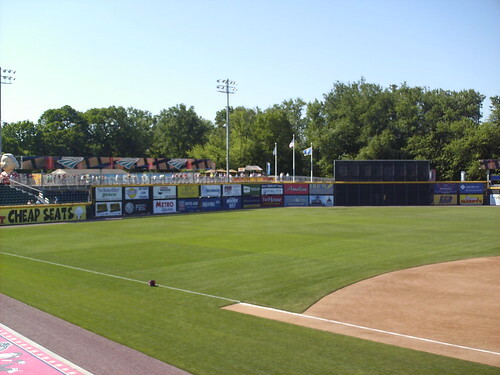 The outfield is full of sharp corners and changes in the height of the outfield wall. 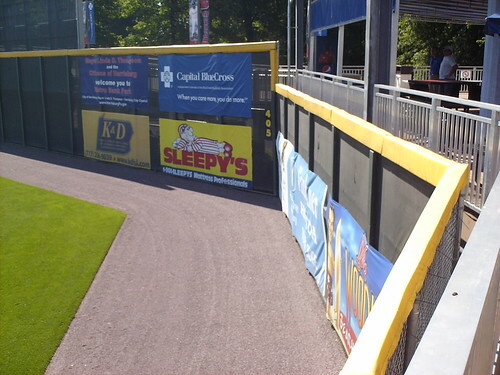 Counter seating overlooks the home bullpen in right field. 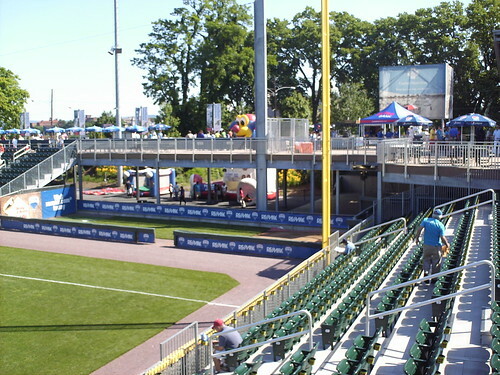 A boardwalk concourse circles the outfield, giving fans plenty of places to stop and watch the game, including underneath the ribbon board in left. 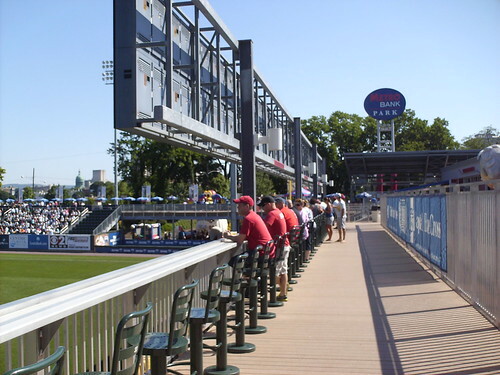 The concourse bridges over the visiting bullpen in the left field corner. 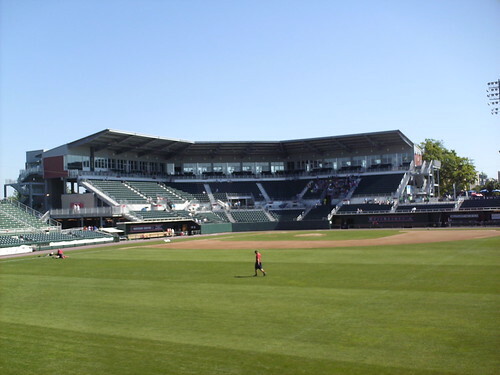 The "Cheap Seats" stick out into left field, creating a short porch. 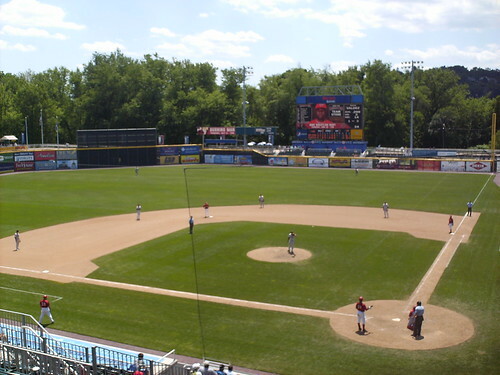 FNB Field sits on City Island, a mile long island in the middle of the Susquehanna River. 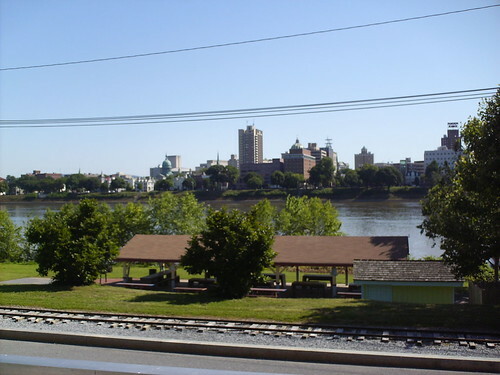 Small parks and a miniature railroad circle the island, and downtown Harrisburg and the Pennsylvania State Capitol can be viewed from inside the ballpark. 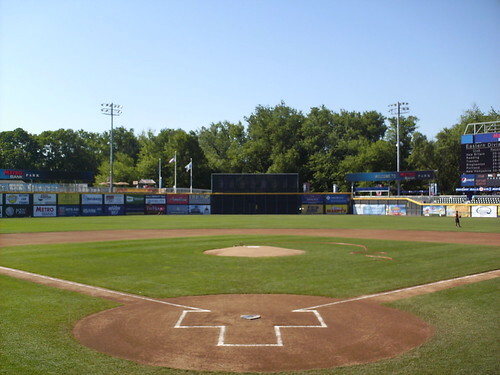 Professional baseball was first played on City Island in 1907. 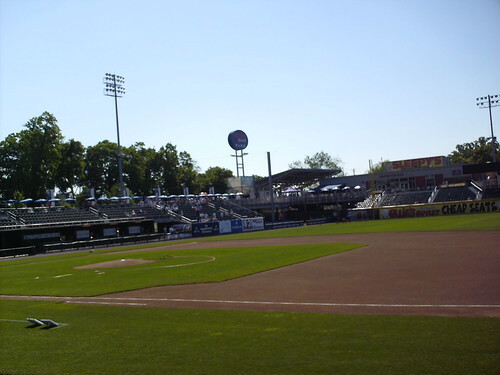 The Portland Sea Dogs on the field against the Harrisburg Senators at FNB Field.